A Chinese investor has bought 100 apartments in the Exarchia area, a Kathimerini newspaper report says. According to the report, the Chinese man made use of them through short-term rental platforms and then sold them as an investment portfolio to a foreign investor. The report also says that the same investor is preparing to make a new purchase of more than 100 apartments this time, in the same area. 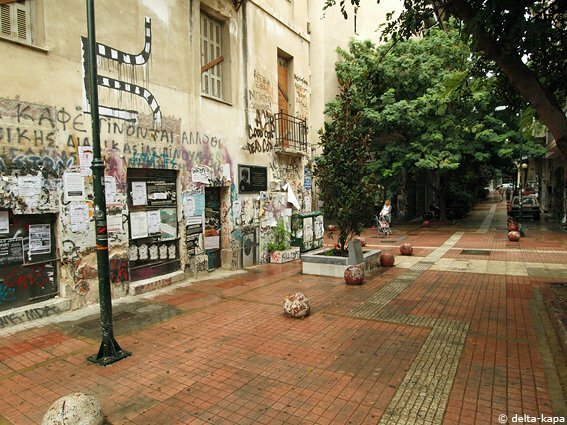 Exarchia is very close to the center of Athens and just behind the National Archaeological Museum. The reason for the preference for investments in Exarchia is not just the low real estate prices, but also the willingness of many owners to leave the area. Prices in the area have dropped in recent years due to increased criminal activity. The report says the investor is taking advantage of the “Golden Visa” program that gives a residence permit to foreign nationals who make investments of over 250,000 euros.